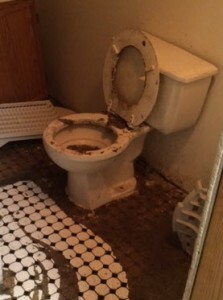 AllStates Restoration offers quickly, professional repair and clean-up services in response to clogged drain overflows and other plumbing related problems. 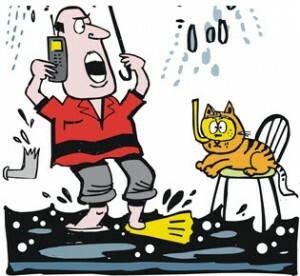 Water damage from clogged drains and spilling over fixtures or appliances happens with no advance notification. Unexpectedly you have enormous amounts of flood water where it does not should be. Fast, expert action is necessary to secure your home, reduce damage and get life back to normal. AllStates Restoration emergency response crew have the knowledge, training, and equipment required for: sink over-flow, blocked drain and water damage restoration. Contact AllStates Restoration’s 24-hour emergency cleanup hotline at 888.651.2532 and we will dispatch our skilled technicians to fix your clogged drain overflow , frozen pipes and burst pipe. [wc_divider style=”solid” line=”single” margin_top=”” margin_bottom=””]Since plumbing accidents can take place with no warning, we have actually experienced teams ready to address your water emergency on a 24-7 basis. Acting to ensure the security of employees and property owners, we will identify the cause of the overflow issue and shut off the water supply if it has not already been complete. Our skilled specialists will pump out or extract the unwanted flood water and start the drying and restoration process. A wide range of clean-up, repair and restoration work must be done in response to a clogged drain and water overflow problems. AllStates Restoration is prepared and standing by to handle what ever type of water damage disaster you could be experiencing. While the best way to prevent an overflowing kitchen or bathroom drain is by keeping your drains without clogs, that is sometimes much easier said than done. 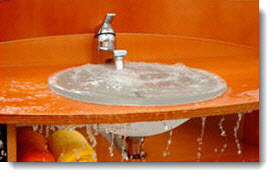 If and when your sink, bathtub or toilet should overflow, our experts can take action right away to stop the water, clean up the chaos and offer drying services to deal with moisture and avoid mold and mildew. Instead of calling a number of various professionals and trying to coordinate their assignments, why not make a single call and let us do it all? Our professionals are standing by to help. Contact AllStates Restoration now if you have a Clogged Drain Overflow or basement sewage backup. We will send one of our expert and friendly professionals to your home right away for emergency home appliance leak water cleanup and sewage backup remediation services in NJ, NY, CT & PA.
To schedule Clogged Drain Overflow Cleanup appointment, call 888-651-2532 or click here.